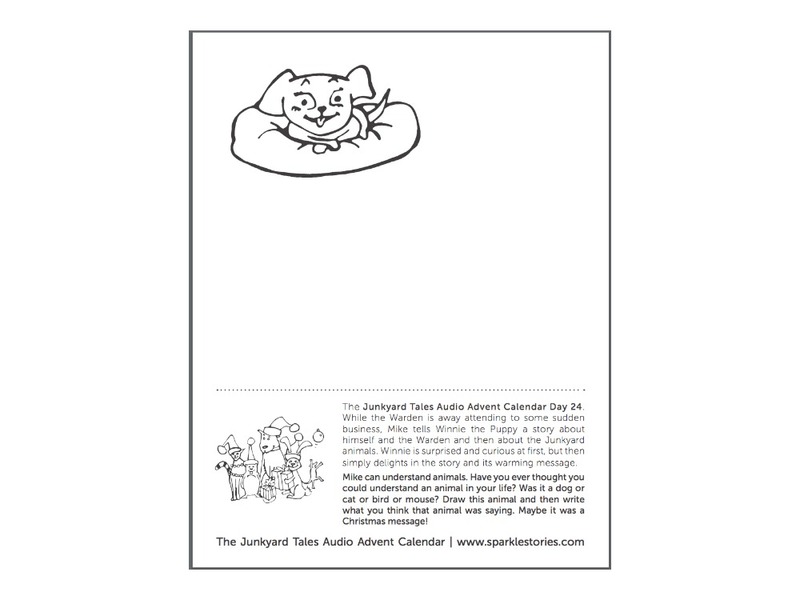 The Junkyard Tales Audio Advent Calendar Day 24. While the Warden is away attending to some sudden business, Mike tells Winnie the Puppy a story about himself and the Warden and then about the Junkyard animals. Winnie is surprised and curious at first, but then simply delights in the story and its warming message. Mike can understand animals. Have you ever thought you could understand an animal in your life? Was it a dog or cat or bird or mouse? Draw this animal and then write what you think that animal was saying. Maybe it was a Christmas message!